If you have experienced Waterlase Dentistry, you'll agree it would be difficult to go back to the drill, excessive numb lips, long procedures, return visits and the post-treatment discomfort we remember from traditional dentistry. Technology continues to change our lives every day. 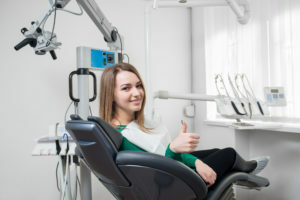 Increasingly, dentists are choosing to use cutting-edge tools including dental lasers to take care of your oral health. Can you imagine getting an eye operation without laser? This is how gentle and precise lasers are! Depending on the type of laser your dentist uses, they can successfully treat many common dental conditions in a gentle, minimally invasive way. 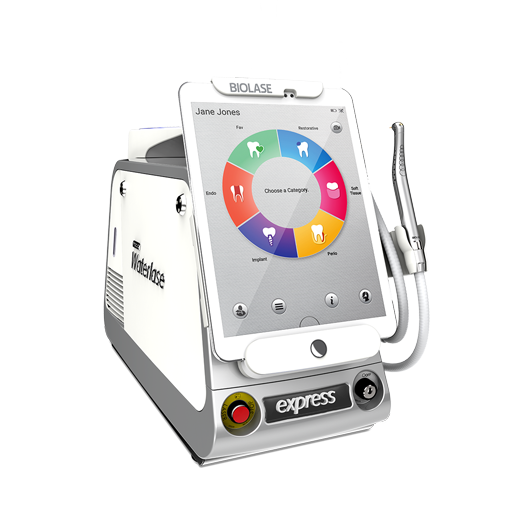 BIOLASE is the world’s leading innovator in dental lasers. With thousands of lasers in use in operatories worldwide, millions of patients have experienced the benefits of laser dentistry, such as gentler procedures and comfortable healing. Our award-winning Waterlase system is a safe and gentle alternative or adjunct to traditional dental tools. When using the Waterlase, there is a much less need for scalpel blades, drills, injections and sutures/stitches. Using a patented combination of laser energy and gentle water spray, Waterlase can perform many procedures without a shot or a drill very precisely, conserving more of your natural tooth structure you were born with, and without creating hairline cracks. Dentists are using Waterlase more and more to offer the latest in patient care. Is Your Dentist Using Waterlase? Are you scared of going to the dentist because you’ll hear the dreaded drill screeching in your ear? Or maybe you are terrified of the needle — and who likes leaving the dental office with a droopy or puffy face? These dental fears can be alleviated with a Waterlase dentist. The Waterlase is a dental laser that enables the dentist to use minimal and in some cases even no anesthetic or drills to perform many routine dental procedures! The Waterlase combines water, air, and laser energy for safe use on human tissue in the mouth. 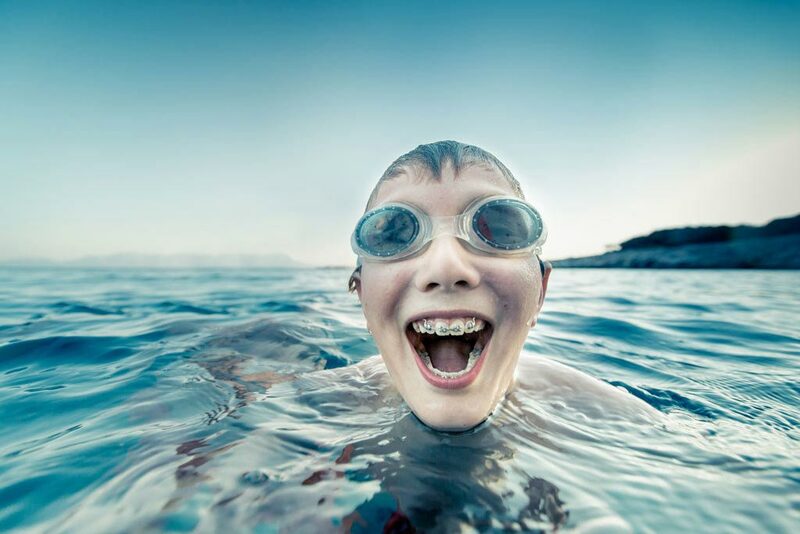 Our teeth are partially made up of water and when the laser makes contact with the tooth it excites the water molecules to cut through the tooth. Since the laser continuously sprays out water it keeps the tooth hydrated, preventing heat and giving you a virtually pain free experience! Even for those who floss, brush, and use fluoride regularly, sometimes you still end up with a cavity. Between all of your commitments, you may not have the time to schedule another dental appointment. With Waterlase you don’t have to worry! Waterlase is gentle enough that your dentist can complete most of your dental needs in a single visit. 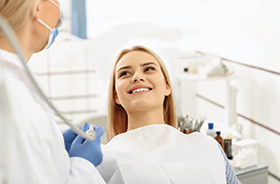 Plus, in some cases, your Waterlase dentist can save you the hassle of going to a specialist or schedule multiple dental visits. The Waterlase is cleared for numerous dental applications that can be performed on both pediatric and adult patients. 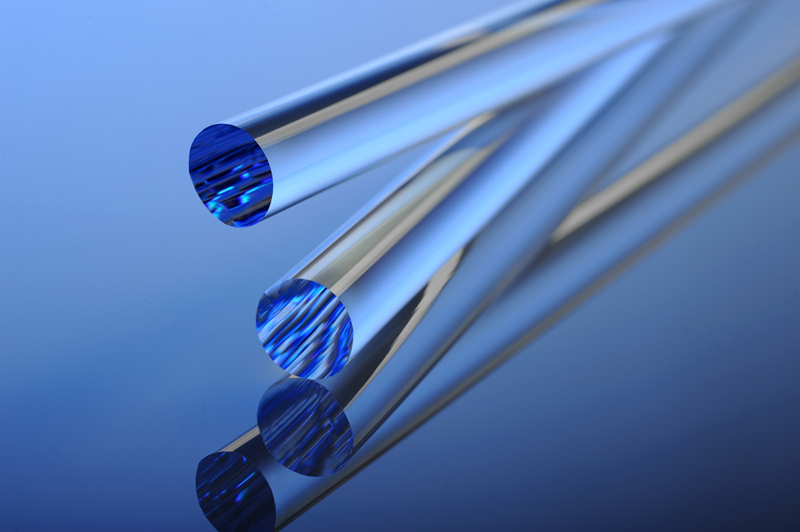 One of the Waterlase’s greatest strengths is how precise it is! Conventional dental drills rely on removing large amounts of tooth to get the job done, and the constant grinding and spinning of a drill bur can cause heat, pain, and microscopic cracks, which could possibly lead to future infections underneath the filling. The Waterlase, on the other hand, removes very precise amounts of tooth, without damaging or cracking the rest of the tooth! And because it is so precise, you will rarely need anesthetic! Waterlase has the potential to reduce this risk as it works without contact to the tooth. The trained Waterlase dentist can operate with single-use, disposable tips, so you don’t have to worry about what might have been in someone else’s mouth. Years of engineering and research led to the discovery of a water-energizing 2,780 nm YSGG laser, and an air and water handpiece – both patented by BIOLASE – that combine to symbiotically excite water molecules from within both the spray and the target tissue. This results in a biological, effective micro-ablation of tooth structure which contains water, bone, or soft tissue that is super precise. See how Waterlase cuts the hardest tissue in the human body - enamel - without heat, vibration or the risk of cross contamination. The fastest camera in the world captures single pulses of Waterlase laser energy at 45,000 frames per second! The drill works with friction, which causes heat and triggers pain. This necessitates injection with anaesthetic to the mouth, and opens the possibility for thermal damage. The drill also causes vibration and macrofractures that can allow bacteria to penetrate causing decay and problems later. Waterlase© uses a unique, powerful interaction of our patented YSGG laser wavelength and water/air spray that ablates, "cuts", etches and shapes target tissues without contact, heat, vibration or pressure. Waterlase is also highly effective for gums, skin, bone – more precise and less bleeding than a scalpel! Futhermore, lasers seal nerve fibres to reduce pain and need for medication in many cases. See from a tooth's point of view why Waterlase is better than the dental drill. How Waterlase Flies Under the Human Body's "Pain Radar"
Our Biological Dentistry™ approach to diagnosis, treatment and prevention is the logical result of our investigations into why conventional treatment with the drill causes pain, necessitates the use of anesthetic, and causes unintended damage to surrounding healthy tissue – negative consequences that have long been accepted for lack of a better solution. A fresh look at the anatomy and physiology of teeth and oral soft tissues showed us there could be a more biologically friendly way to treat them. Tooth enamel naturally contains up to 5% water; dentin and bone up to 25%. Years of BIOLASE research led to discovery of a water-energizing 2,780 nm YSGG laser and a handpiece that delivers air and water in precise proportions – both BIOLASE patented – that combine to symbiotically excite water molecules from both the handpiece spray and inside the target tissue. The result is an effective biological micro-ablation of tooth structure. The atomized spray of water and air continually re-hydrates the tooth, preventing heat and pain. We named this technology WaterLase©.